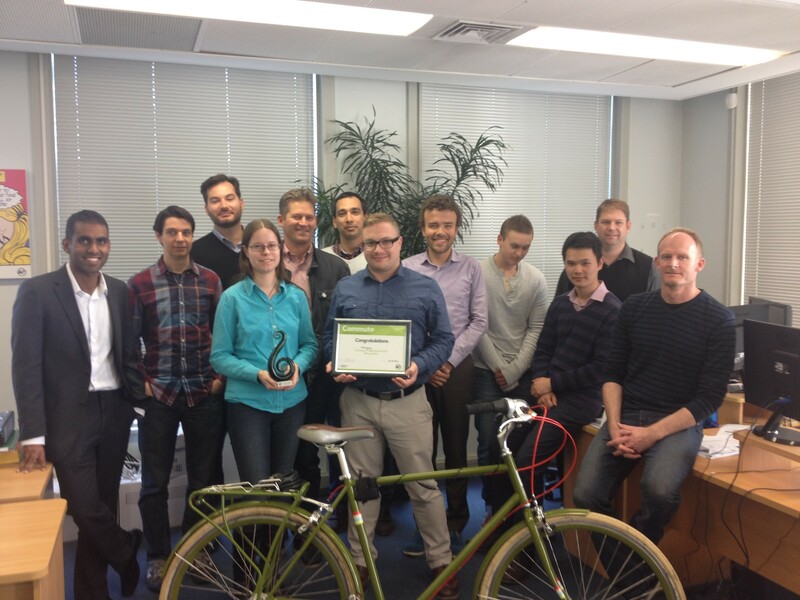 Auckland Transport has recently awarded the MRCagney Auckland office a commute award for Embedding Sustainable Transport into Company Practice. MRCagney has a goal of 100 per cent non-car journey to work mode share. Of our 15 full time staff, 14 people use public transport, walk, or cycle to get to work. This high non-car mode share has been achieved through a variety of management policies and company practices, many of which were set in place through a workplace travel plan first developed in 2009.